If you're looking for the ultimate potluck side dish, then you've come to the right place. The recipe below takes classic corn salad and makes it even better . I know – I wasn't sure that was possible! 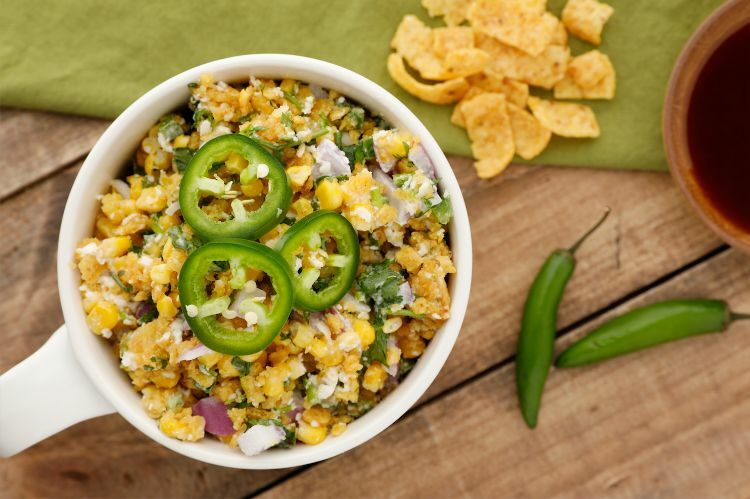 The addition of crunchy, flavorful Fritos makes this corn salad addictively good. I hope you're ready to hand out the recipe at every backyard barbecue this summer or potluck when the weather turns colder. The best part about this dish is that it's unbelievably simple. It's really just corn, onions, jalapeños, cheese, cilantro and mayonnaise. That's it. The Fritos are perfectly seasoned so you don't even need to add any spices. If you can't find cotija cheese you can substitute feta cheese. Both are hard, salty cheese so the swap should work without any problems. Put all of the ingredients in a large bowl. Store in the refrigerator until ready to serve. 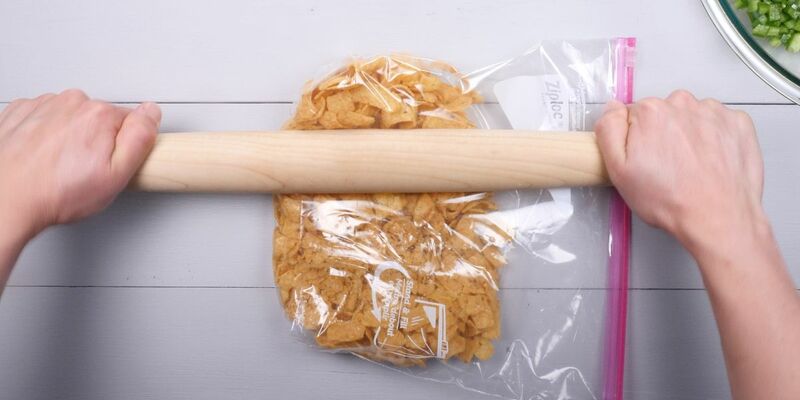 Serve with Fritos Scoops or any other type of tortilla chips.